San Diego, CA, August 22, 2016 – San Diego’s Sports Leader The Mighty 1090 is excited to welcome Jim Rome back to San Diego as he broadcasts live from the Del Mar Thoroughbred Clubs’ Plaza de Mexico Friday, August 26, 2016 from 9am-12pm. 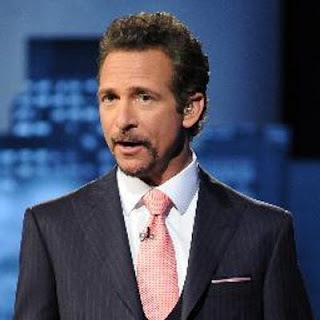 Jim Rome will finish up his live Del Mar radio show by doing “cross talk” with Mighty 1090 daytime host Darren Smith who will be broadcasting live from Del Mar that day from 12-3pm. Besides Jim Rome’s Media exploits, the 51-year-old Rome has been heavily involved in the Thoroughbred racing game with his wife Janet. He’s had notable success with several horses -- including two time Breeders’ Cup champion Mizdirection and Eclipse Award winner Shared Belief. Announced this year, Del Mar renamed its El Cajon Stakes for 3-year-olds the Shared Belief Stakes in the horse’s honor Jim Rome will be in the winner’s circle to salute the winning horse and owner and to pay homage to Shared Belief. “We’re incredibly excited to have Jim back home in San Diego to headline the Mighty 1090’s Day at the Races. This will be a great day for San Diego Sports fans”. Adds Broadcast Company of The Americas Vice President of Programming and Operations Mike Shepard. Jim Rome’s live broadcast will be a complimentary event with access to the race track on Aug. 26th until 1:00 PM. Free parking will be available up until 11:30 a.m. Fans coming into the track’s main parking lot off of Jimmy Durante Blvd. should follow the signs for “Jim Rome Live Broadcast.” Complimentary tickets to race day will be available on mighty1090.com/delmar.